Avert your eyes, if you must, and move on to the next paragraph, but I’m going to kick off this installment of the tea book column with a book about coffee. Gasp. It’s called Coffee Gives Me Superpowers: An Illustrated Book about the Most Awesome Beverage on Earth and it’s by Ryoko Iwata. I mention it not to quibble with the idea that coffee is the most awesome beverage on Earth (though I certainly disagree) but to note that it might be interesting to see a similar volume – one that’s “full of infographics, quizzes, and other fun and interesting facts” – discussing the wonders of tea. I’m not well versed when it comes to the later Disney characters, but I gather that young ladies of a certain age might be familiar with one named Sofia the First. 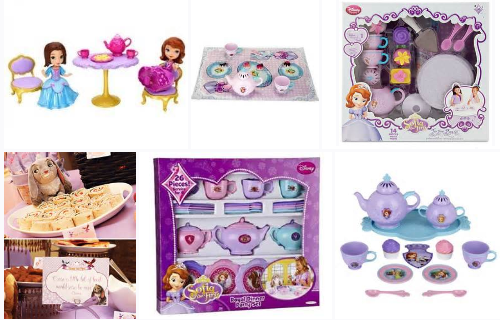 In the interests of getting those young Sofia fans on the right path (of tea drinking) at an early age, I’ll direct you to the teacup-shaped Sofia the First: Sofia’s Cup of Tea, which hits the stores early in 2015. In the same vein is the Hello Kitty: Tea Party Set, which rolls out this September and which “has a chunky eight-page board book and 15 puzzle pieces to match to the spaces on the book pages, as Hello Kitty gets everything ready to host a tea party for her friends.” Also up in early 2015 is yet another book for those who fancy fiction with a tea-related theme. It’s called The Traveling Tea Shop, by Belinda Jones, and concerns the adventures of the assistant to and the host of a tea-themed TV show.